Corrosion is a naturally occurring process, costing American industries approximately 6% of the entire United States GDP each year. The chemical interaction between a metal and its surroundings, corrosion degrades metal and leaves it prone to failure. Quite obviously, measures must be taken to manage corrosion so as to avoid failure. 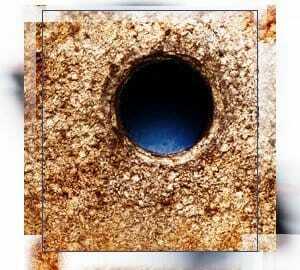 While corrosion is a very broad problem, the solutions used tend to fall into a few common categories. Still, even within this narrowed range of solutions, a great deal of variation exists, requiring that methods and materials be standardized to ensure reliability. To this end, standard-developing organizations have brought together interested and educated parties to form a consensus on how to properly design, manufacture, test, handle and use products that are susceptible to corrosion. Chief among these are ASTM International, formerly the American Society for Testing and Materials, and NACE International, formerly the National Association of Corrosion Engineers. 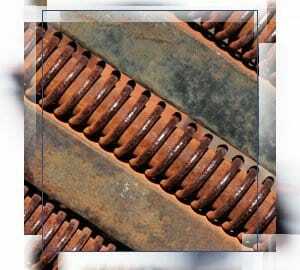 Corrosion management comes down to a few key methods, each with their own advantages, disadvantages and variations. Frequently, several methods are used in tandem, leading to a particular blend of advantages and disadvantages that fit the requirements of the task at hand. Prior to any specific method of corrosion prevention, the bigger picture of engineering design is brought into play. Some design decisions are more prone to corrosion, such as any place where two dissimilar metals are in electrical contact or when the shape of a structure allows liquids to collect. Because it isn’t always possible to avoid these pitfalls, additional care must be taken later to address them. Financial concerns are an issue too, as the simplest solution may simply be too expensive for the proposed application. Standards are especially important in this area as a guard against economic pressures incentivizing unsafe practices. Leading in from engineering design, the first and most commonly used method of preventing corrosion revolves around the selection of materials. Simply picking a metal that is sufficiently resistant to corrosion is sometimes the easiest and most straightforward solution. Other times, the application requires certain characteristics, such as resistance to stress, that are not found in the metals most resistant to corrosion. Filling these gaps, new materials, composed of two or more metals (alloys or intermetallics), are tailor made to fit all the performance characteristics required for certain applications, including resistance to corrosion. The most famous of these is stainless steel. A category of materials rather than one specific formulation, many distinct variations of stainless steel are used in a wide range of industries. Still, a single material might not exist that fulfills all the physical requirements at an acceptable price. The second method involves placing a barrier between the vulnerable metal and the corrosive elements. In some cases, the early stages of corrosion naturally create a thin, protective layer over the material that impedes further damage. This is either allowed to happen naturally or stimulated chemically. Otherwise, the metal is manually covered by a layer of something more resistant to corrosion (metallic or not), such as the coat of rustproof paint on your car. This allows designs to use a material resistant to corrosion for the outer surface and a material with other desirable characteristics (resistance to stress or affordability) for the rest of the structure. One key problem is that if the covering corrodes all the way through at a single point, corrosion will then damage the underlying metal and its effects might be hidden by the rest of the covering. The third method involves a sacrifice. A vulnerable structure such as a zinc anode is electrically connected to the primary metal, drawing away corrosive factors and corroding instead of the primary metal. One major use of this method is for storage tanks that hold liquids conducive to corrosion. The obvious drawback here is that the sacrificial structure is sacrificed and must be repaired or replaced. Other methods are plentiful as well. It is sometimes possible to control the metal’s environment, removing corrosives or adding other substances to counteract their effects. Other times, a current can be run through metal to provide anodic protection so that galvanic corrosion is prevented. In some instances, parts can be made so that they are cheap, expendable and easy to replace, thrown out as corrosion overcomes them. Another option is to simply make the outer structure thicker by adding metal, a solution frequently used in situations where the environment is so corrosive that attempting to prevent it is futile and the additional mass and volume is not a problem. Lastly, there are cases where failure due to corrosion is unavoidable and a short useable life span is accepted as a part of the design. Corrosion as a force is an ever present threat to our industries and products. Dealing with it is important. Dealing with it properly is even more important. Given the wide variety of corrosive situations, materials involved, possible solutions and the reality of economic pressures affecting decisions, the widespread use of standards is a necessary safeguard for everybody involved.